Burgers. Wait, what? 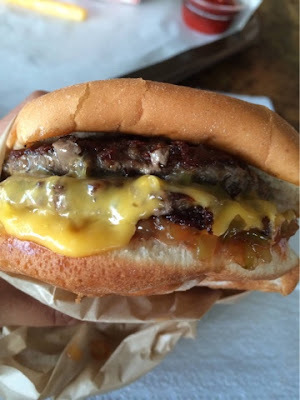 In Kauai, there is a burger there that I still crave for its simplicity and flavor. Bubba Burgers! There are three locations on the island of Kauai -- Hanalei (north), Kapaa (central), and Poipu (south). 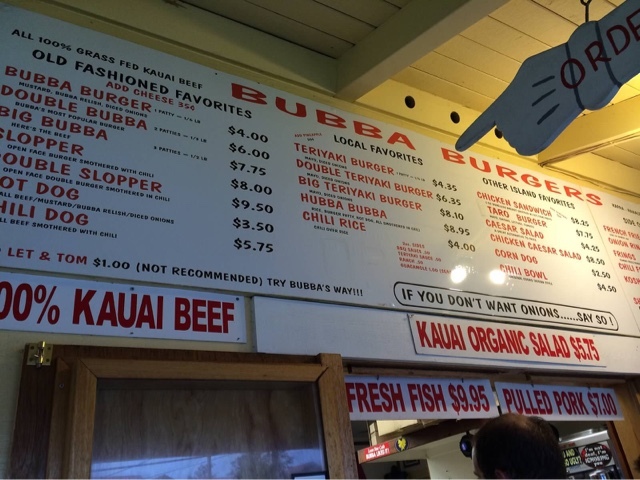 We rented a house in Hanalei and we were lucky that the Bubba Burgers was located a short walk across from our house. I will be the first to admit that we ate there twice during our trip. Yum! 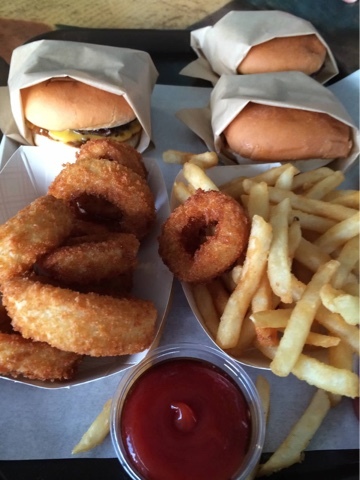 All Bubba burgers are made from Kauai grass fed beef and served in a toasted bun, Bubba relish, and diced onions. The patties are thin -- they start off with a 1/6 pound patty (Bubba Burger), 1/3 pound (two patties - Double Bubba), and the Big Bubba (1/2 pound - 3 patties). Bubba suggests that you do not get lettuce and tomato on your burgers because since 1936, they have never served the burgers with them. But, for a $1.00, you can order lettuce and tomato (but they cannot guarantee its freshness since they have them shipped from the mainland). 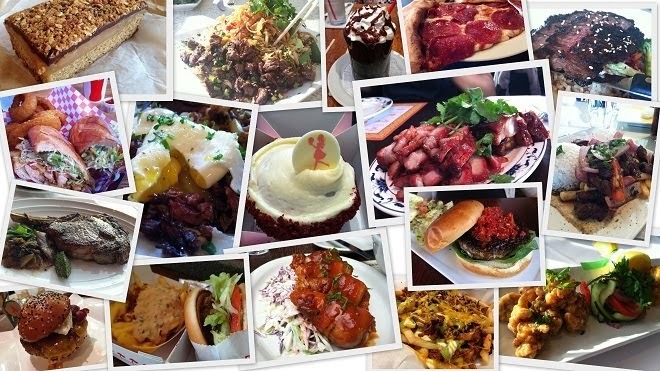 They also have chili burgers, hot dogs, fries, onion rings, taro burger, and a grilled chicken sandwich on their menu. Here is my Double Bubba ($6.00) -- this is the standard burger for an "adult". The single Bubba burger ($4.00) is perfect for kids, like my little boy, as it comes with a tiny 1/6 pound patty. Each burger is pretty simple - cheese was extra ($0.35), relish, fresh onion, ketchup and mustard. It was so good. It reminded me a homemade burger that my mom would make The beef was seasoned well and I loved the tang from both the relish and mustard. Both M and I ordered Double Bubbas with cheese. We shared an order for french fries ($2.75) and onion rings ($5.00). The french fries, I can tell, were of the frozen kind, but they were still pretty good. Especially when you have to have french fries with burgers! 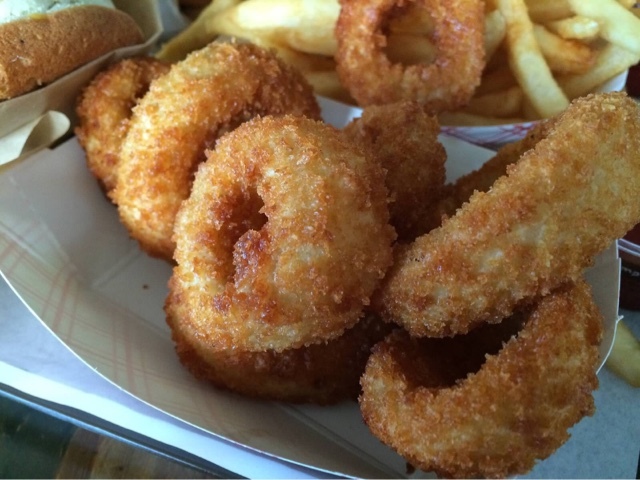 The onion rings were super crispy on the outside and soft and sweet in the inside. 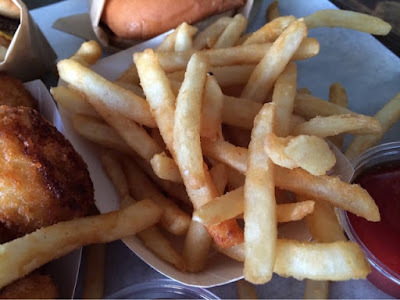 I liked them better than the french fries. Bubba is a good place to get something quick in paradise. They make simple, good food and they make food pretty well. The staff was really friendly, too!